First thing's first, Happy New Year to all of you! I hope that you all had a wonderful Christmas and New Year's Eve too, whatever you got up to. I had a rather relaxed period of festivities this year and have finally managed to nurse my cold away (I'm much more of a duvet and Netflix girl these days anyway, who needs a hangover?). And now, what better way to start the year than with a blog post, particularly when it features an item that makes me as excited as this one does. 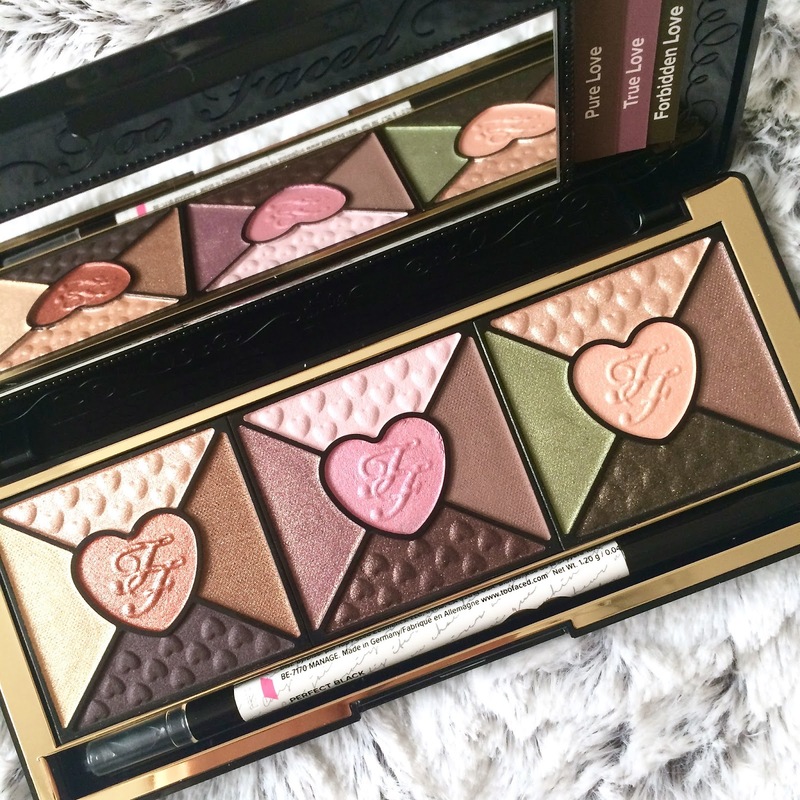 I had been lusting over the Too Faced Love palette for so long but couldn't find it available anywhere in the UK until around Christmas time, when I spotted it on the Debenhams website. Before this, I just could not justify forking out £14.00 for postage from the US. I was very kindly given this palette by my boyfriend and I had all of the heart-eye emojis happening when I opened this. 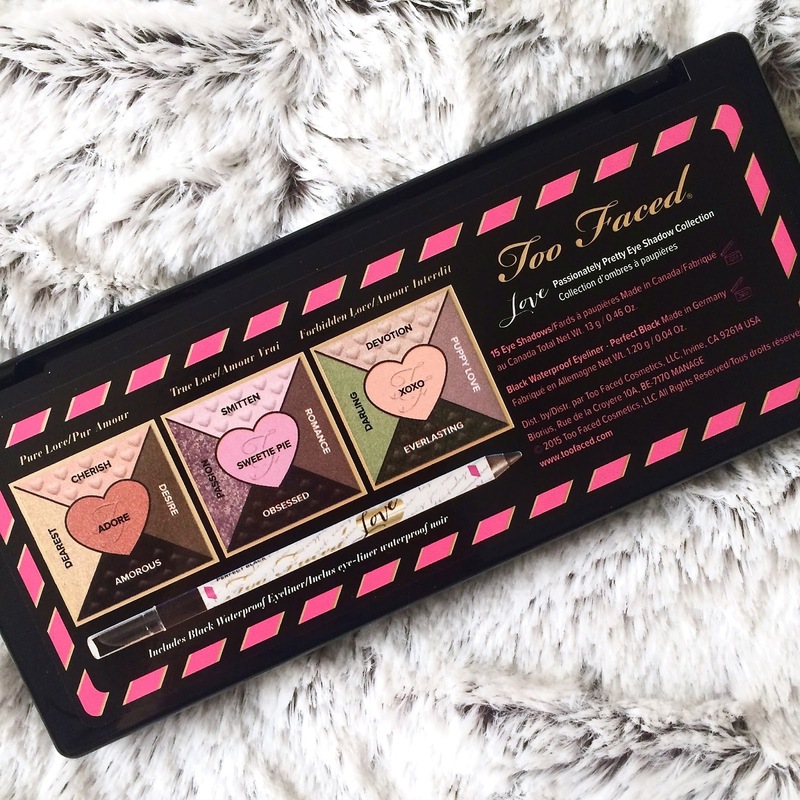 The palette itself consists of 3 different eyeshadow looks; the palette is split into 3 colour combinations, Pure Love, True Love and Forbidden Love. My favourite look of the 3 is Pure Love with its gorgeous golden, brown and rust tones, which look especially amazing with a tan too. The set also comes with a double-ended black eyeliner, which I found very easy to apply. The first look that I have tried with the palette consisted of Cherish as a base, Dearest as a top coat with a fine line of Desire around my lower lash line. The consistency of the eyeshadows is incredible and they are highly pigmented so a little really does go a long way. 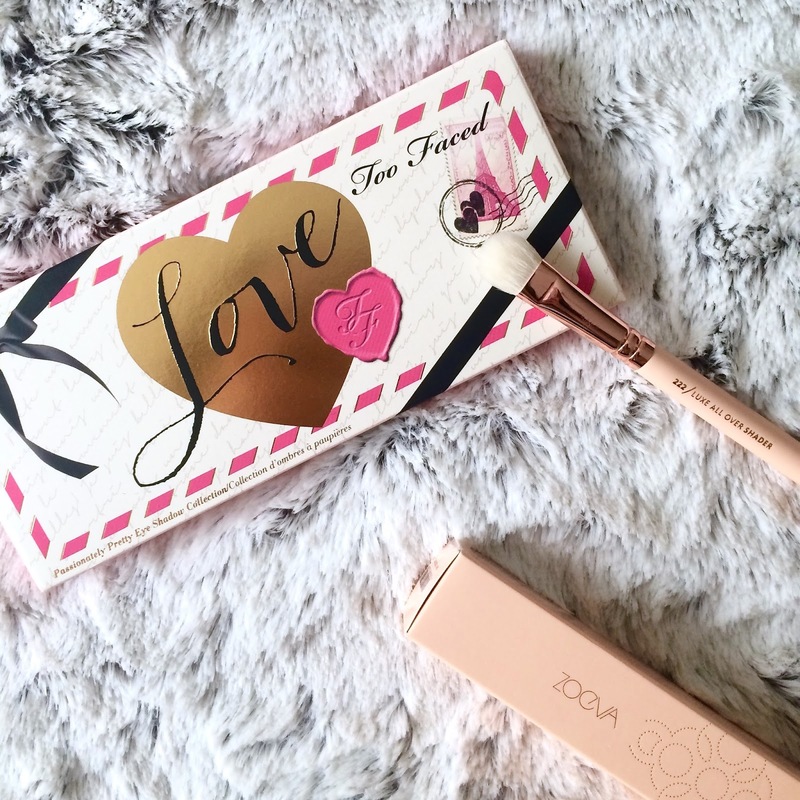 I used my Zoeva '222' shading brush to give a gentle dusting of each colour to my eyelids and the shades blended with real ease. A major gripe I have with many eyeshadows is when they choose to crumble away at the top of my cheek bones upon application; I had zero flaking with any of these shades upon application or throughout the day. This is always a winner in my books, and rare to come by. What I like about this palette, apart from how aesthetically pleasing it is, is how versatile all of the colours and shades are, providing endless eyeshadow looks. I am currently getting to grips with the palette so I will be uploading my various looks and swatches that I have tried on my blog very soon, so be sure to check back for these. 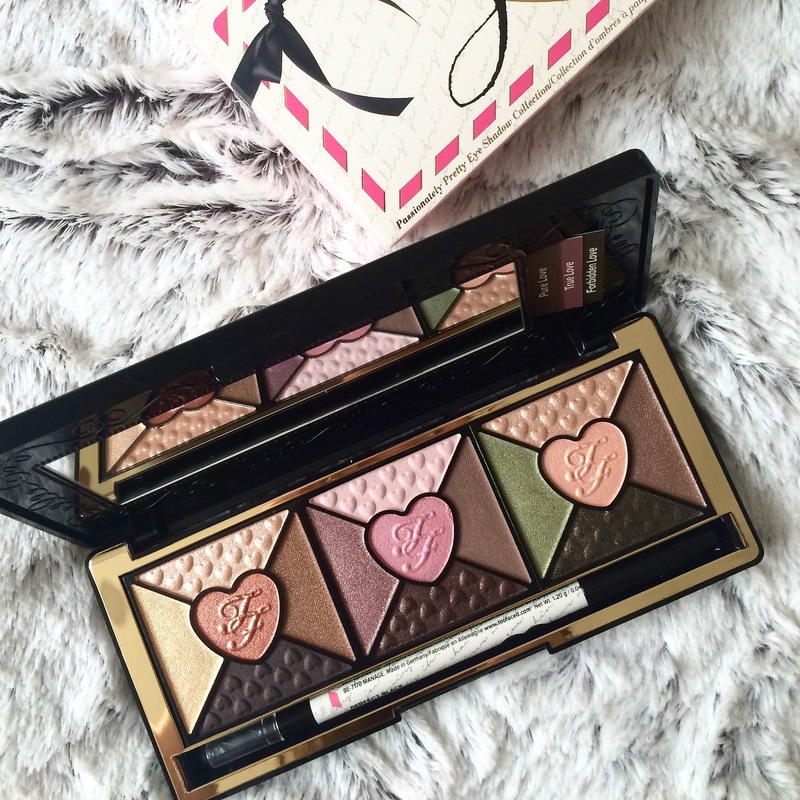 But for now, I can safely say this is the start of a love affair with the Too Faced range. This is just WOW - There are so many amazing shades though, would love to see how you use this! It's honestly SO gorgeous - I'm not usually a 'pinky'-toned eyeshadow girl but I think even these are workable. I will be blogging soon with various looks I've tested out! This is looking so cute !